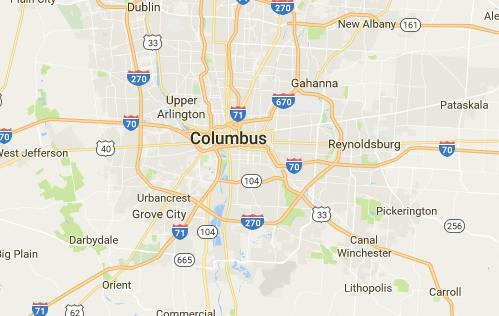 Life in Columbus, Ohio, tends to be pretty hectic; between work, school and taking care of your family, it can be hard to find time to enjoy the amenities offered by the Capital City. House chores can easily fall behind on your to-do list, which only adds to your daily stress. If you’re in need of help keeping up with your household cleaning, look no further than The Maids Columbus. We provide weekly, bi-weekly or monthly recurring maid services, catered to your family’s needs. We’ll set up a regular schedule so you don’t have to worry about booking your next clean. On top of our flexible schedules, you will find that our unique 22-Step Healthy Touch Deep Cleaning System works to give you a thorough clean every time your team of maids visit. With this approach, no corner, crack or crevice goes untouched. Our state-of-the-art HEPA filtration vacuums and environmentally friendly cleaning products are just part of what makes The Maids the best choice for recurring maid services in Columbus. The Maids makes sure all areas of your house are cleaned properly at every visit, which means your home stays cleaner, longer. And if you ever need additional house cleaning before a party or a family visit, we also offer one-time house cleaning services, giving you one less thing to worry about. All of our cleaning maids are fully trained in the use of our house cleaning products and equipment to ensure that your home receives only the highest quality clean possible. 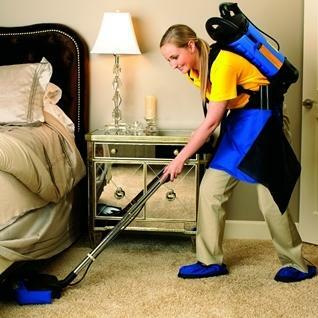 The Maids has gone to every extreme to ensure that you can trust our professional house cleaners. All employees are thoroughly screened prior to hiring. Every team is supervised by a working team leader who not only works to keep employees on task, but also double-checks all work for quality assurance. Our many years of providing consistent, quality maid services to satisfied customers in the Columbus area has revealed that a team of four maids is the best way to ensure a deep clean in your home. We are proud of the men and women who make up our professional teams of house cleaners in Columbus, Ohio. Together, our team members will thoroughly clean your home, providing you with the special personal touches you would expect from someone you know and trust. Rather than spending your weekend catching up on chores, let us take care of your housekeeping. With so much attention given to our hiring and supervisory practices, it’s no wonder that most of our recurring maid service customers trust us with the keys to their homes. We give our clients a service and experience they look forward to and trust each and every visit. No matter how often you need us, our maid services are available at your convenience. We work around your busy schedule, because house cleaning shouldn’t be something you worry about. It’s time to take back your weekend. Call The Maids today to get a quote on recurring maid services.